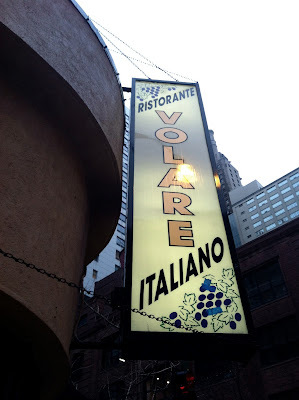 On yet another rainy night in Chicago, our team ventured out to Volare for an Italian feast. Y'all know I love me some carbs... especially in the form of pasta. Housemade pasta to boot. 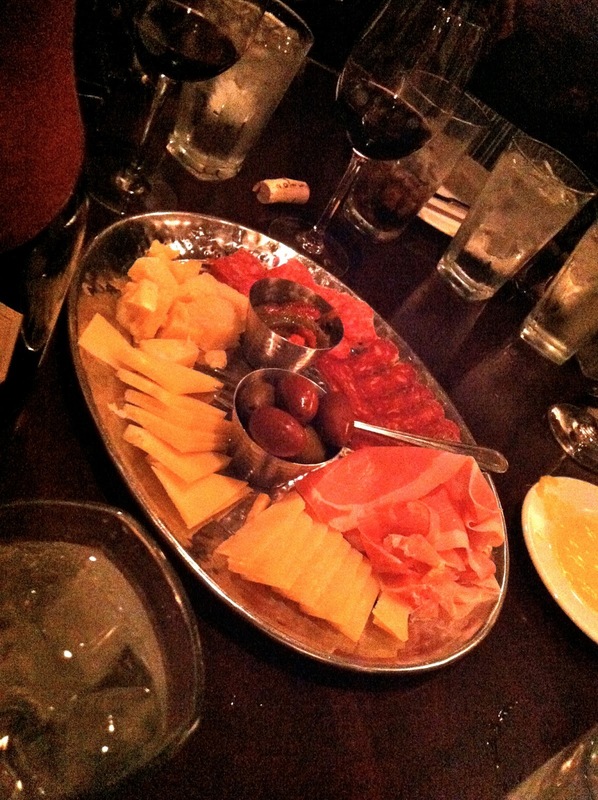 We started right away with soe fantastic wine and a salumi platter. Some of that meat had a kick to it! You'll have to excuse the poor photo quality. There was some real mood lighting going on, and I was trying to discreetly snap pics of food without my coworkers noticing. Since I don't really talk to them about my blogging adventures. I love vodka sauce. 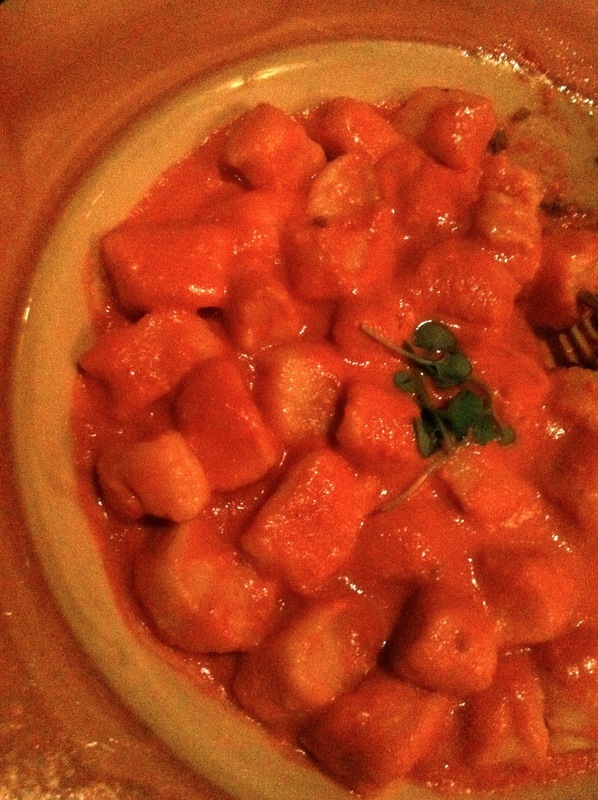 So when they had housemade gnocchi alla vodka, my order was basically a no-brainer. This stuff was sooooo good... and yet so dense and rich and delicious I didn't manage to clear my plate. 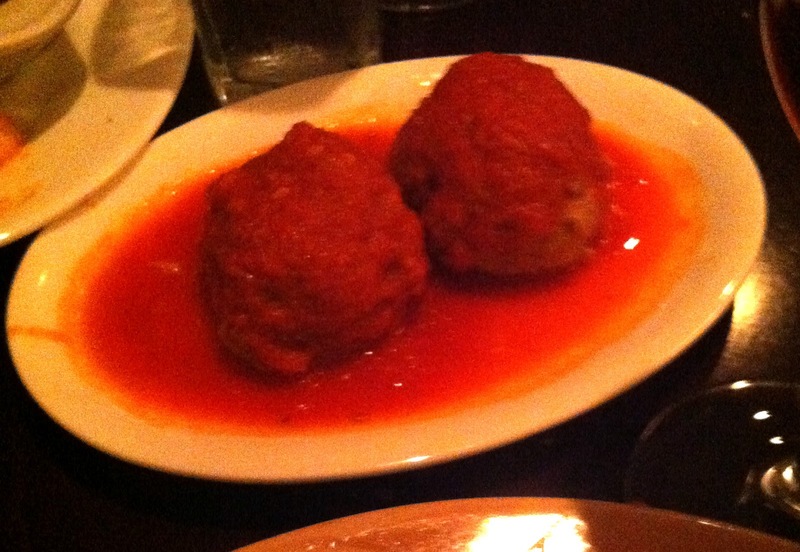 Well, maybe part of that is the glutton in my ordered some meatballs as a side. I totally shared them. But still, my eyes were bigger than my stomach. And this stuff was so good. That's the challenge for me when I travel, I can't take the food home with me to repurpose as a lunch or something. Ooh, it's been so long since I've had an Italian feast. Looks really good! This reminds me of the time I went to an Italian restaurant in Chicago with Emily and Alison, and Alison ordered something alla vodka, and the waiter was all, "Can I see your ID, please?" And she was like, "Um, well, I didn't think, uh..." (she was still under 21), and the waiter just laughed and walked away. Vodka sauce is my fave too!